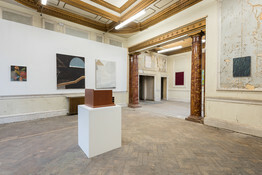 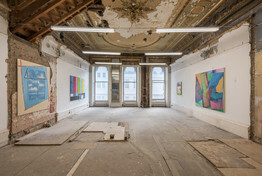 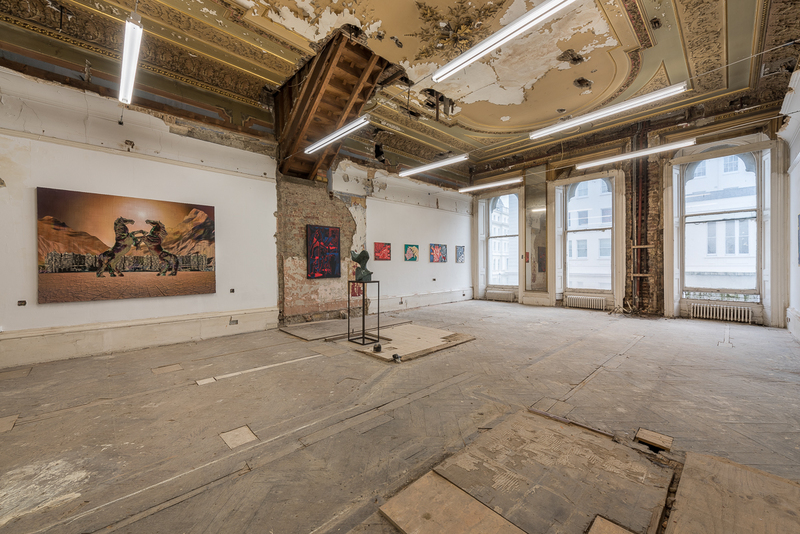 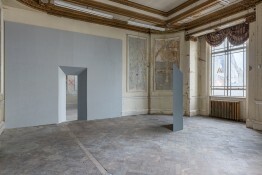 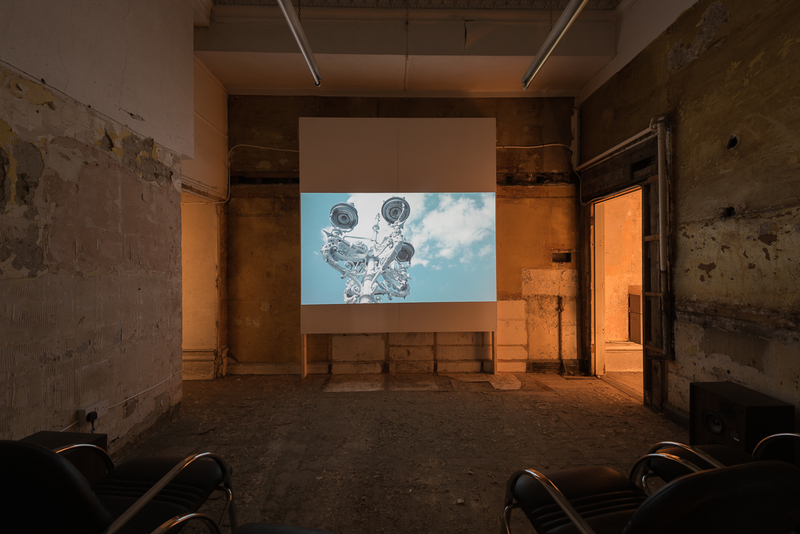 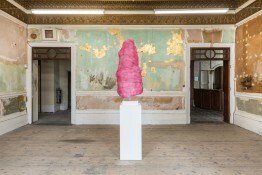 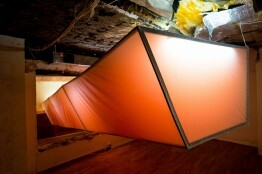 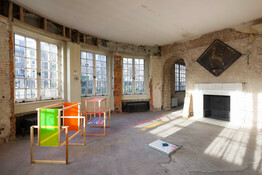 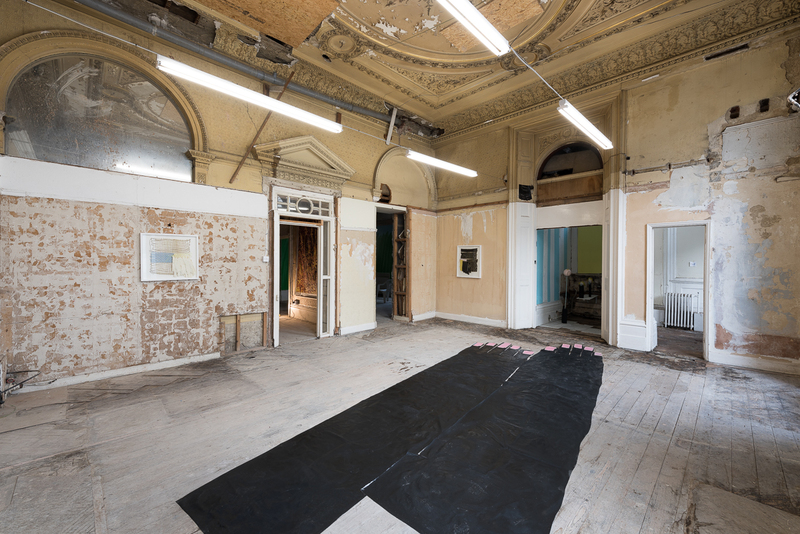 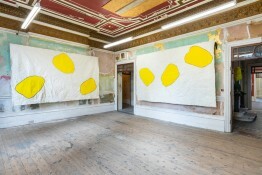 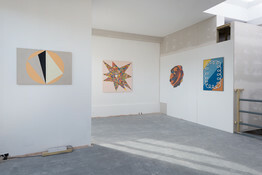 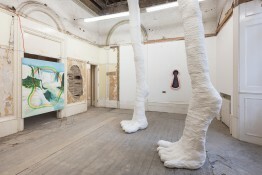 The Averard Hotel is a new project space located in a previously abandoned hotel in Lancaster Gate. 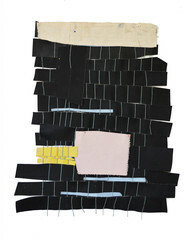 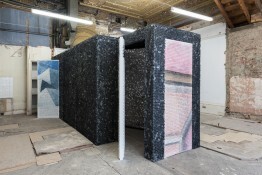 The inaugural exhibition, organized by Slate Projects, showcases the work of thirteen contemporary artists. 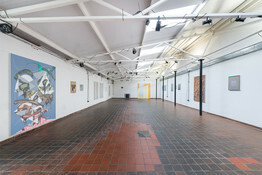 The main reception rooms play host to solo presentations and there is a group exhibition in the old ballroom. Titled Cybernetic Meadow this show-within-a-show is inspired by a poem by Richard Brautigan (1967) in which he imagines a world where “mammals and computers live together in mutually programming harmony.” It includes two photographs from Gordon Cheung’s New Order series – still lifes from the Dutch Golden Age glitched by an algorithm – as well as a large painting evoking both concrete and metaphysical spaces of speculation. 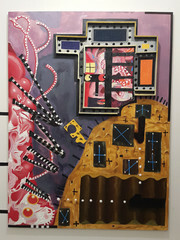 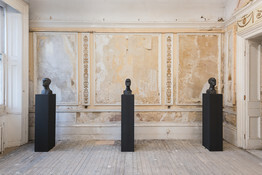 Also exhibited here are a digitally rendered green marble bust by Jon Rafman, and new paintings by Lee Marshall and Sean Steadman in which organic and mechanical life forms intermingle. 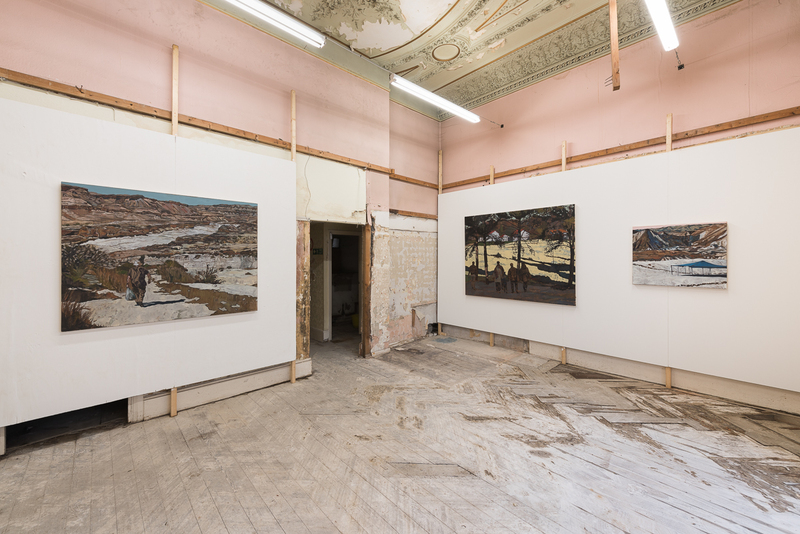 In her latest work, Jolanta Rejs has combined sailmaking with her characteristic monotype woodcut prints. It tells the story of Masuria, a Polish border region dotted with many lakes, from reconstructed postcards and gravestones; a memorial to the region’s displaced populations and derelict heritage. 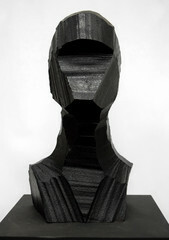 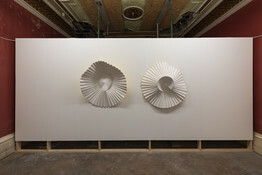 Pablo Smidt’s minimalist sculptures are a playful take on the otherwise serious tropes of modernist sculpture. 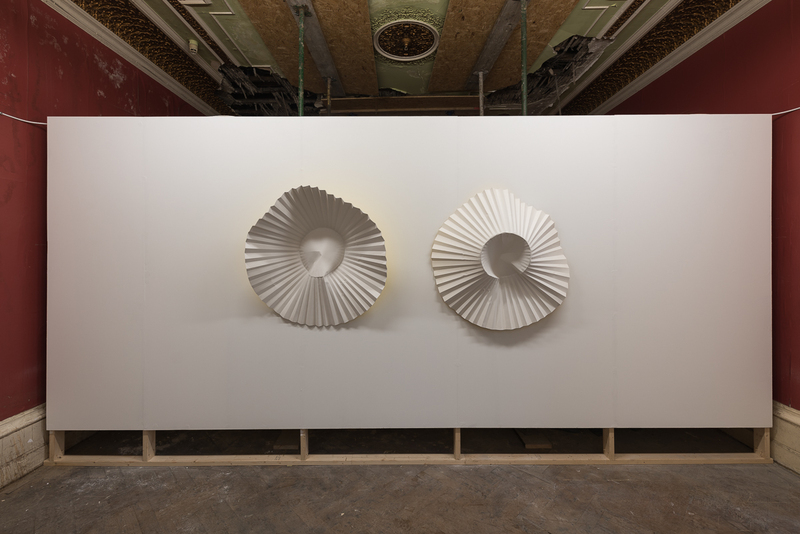 Oversized cupcake wrappers cast in fibreglass mounted to the wall and a cast iron jigsaw in lieu of a carpet take us back to the original impulse of sculpture. 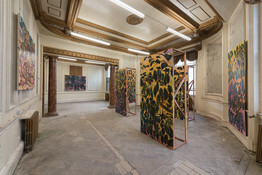 Shubha Taparia’s site-specific installation connects the Averard Hotel to a Ginger Factory in Mattanchery, India. 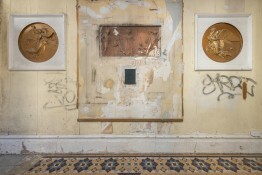 Photographs of the crumbling factory are ‘restored’ with gold leaf, a process which Taparia repeats on the walls of the hotel. In the current dilapidated state of the building, Taparia has taken photographs of some 'found' visuals that almost look 'staged', offering a hint of promise in what could still be restored. 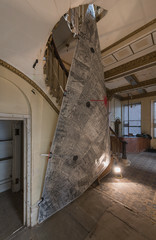 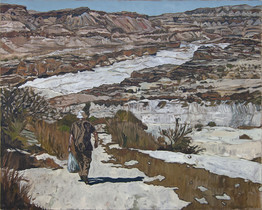 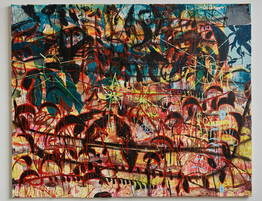 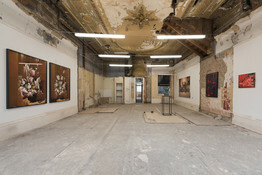 Nicholas Johnson’s rich depictions of decaying nature are displayed here for the first time as floor-based sculptures. 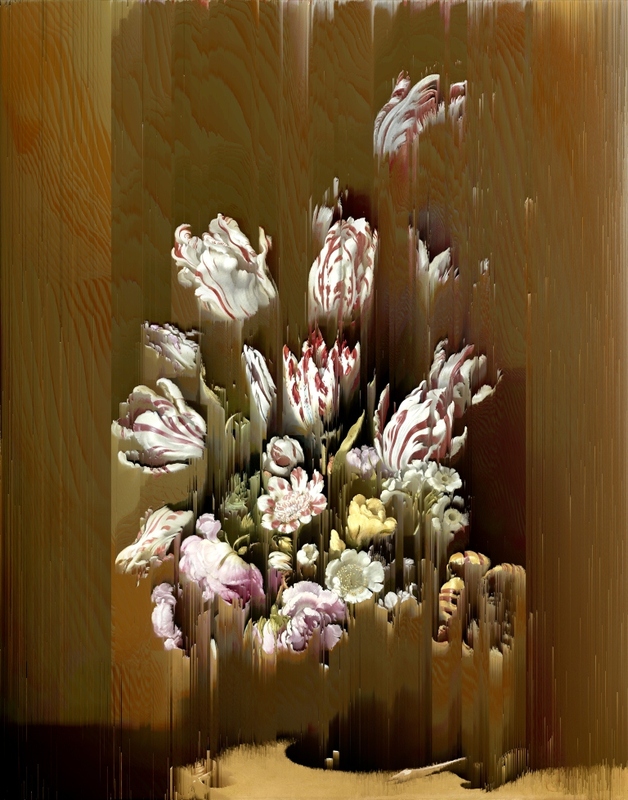 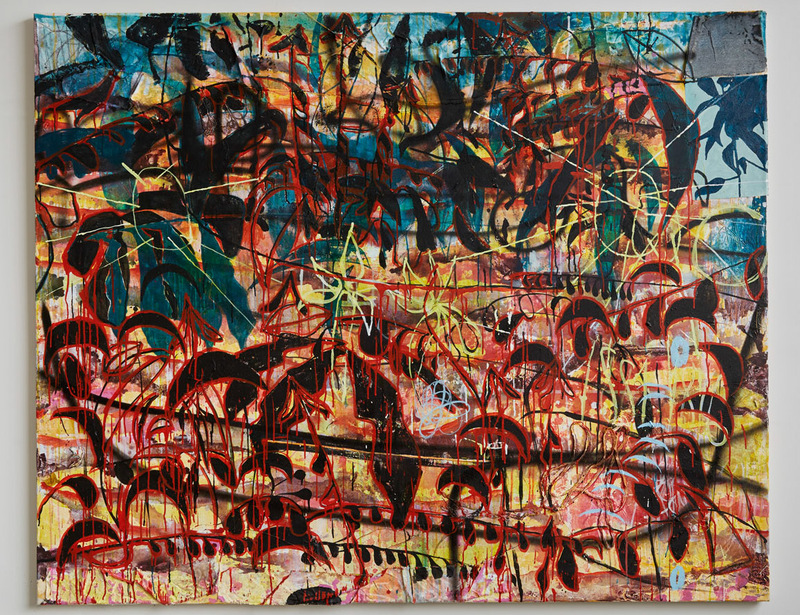 Frenzied, botanic, psychedelic works which incorporate abstraction, found objects and figurative gestures to challenge our ability to look for patterns in a forest of signs. 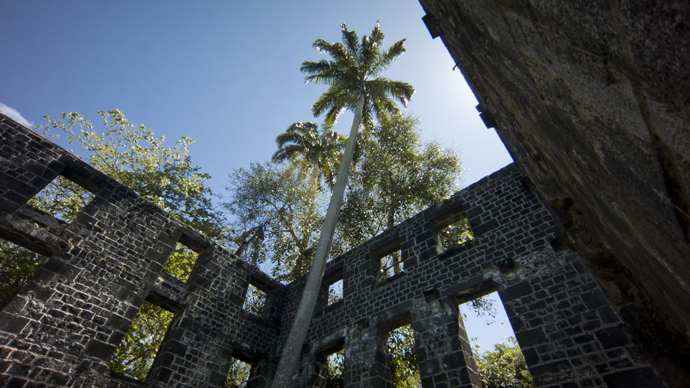 Shiraz Bayjoo is projecting his recent film Ile de France, a painterly and non-narrative look at the social and geographic textures of Mauritian identity. 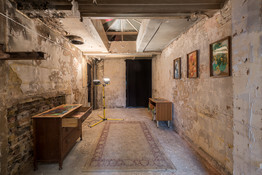 The projection is accompanied by found furniture pieces, salvaged from the streets of London and layered with archival images, acrylic paint and resin. 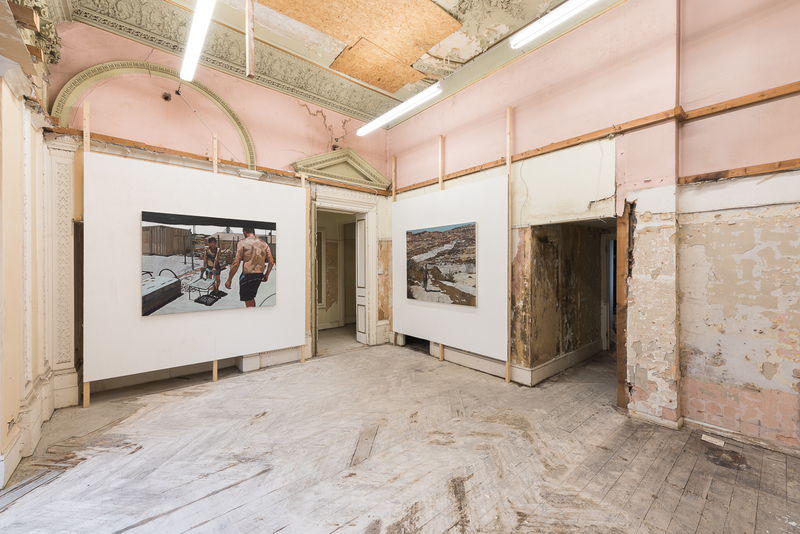 Egle Jauncems is exhibiting a new body of work inspired by Thomas Mann’s Death in Venice, a story which takes place in Venice’s Grand Hôtel des Bains, a famous destination on the Lido shuttered for the last five years and awaiting renovation into luxury apartments. 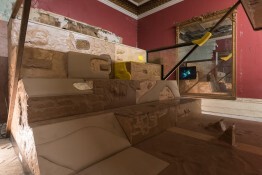 The old Aschenbach’s ruinous desire for young Tadzio playing on the beach animates Jauncems’ installation, which simultaneously probes the boundary between painting and sculpture. 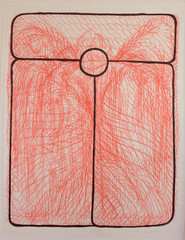 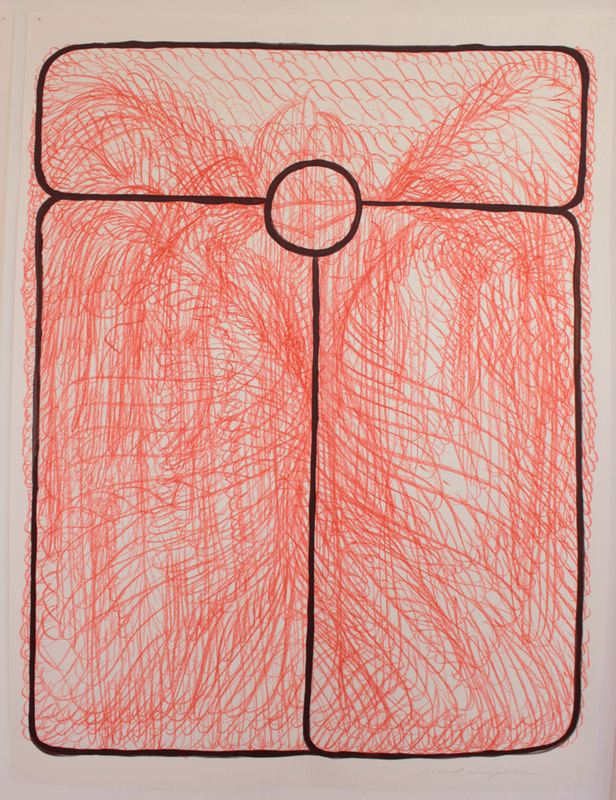 Joel Wyllie’s site-specific work destabilises the viewer’s sense of scale. 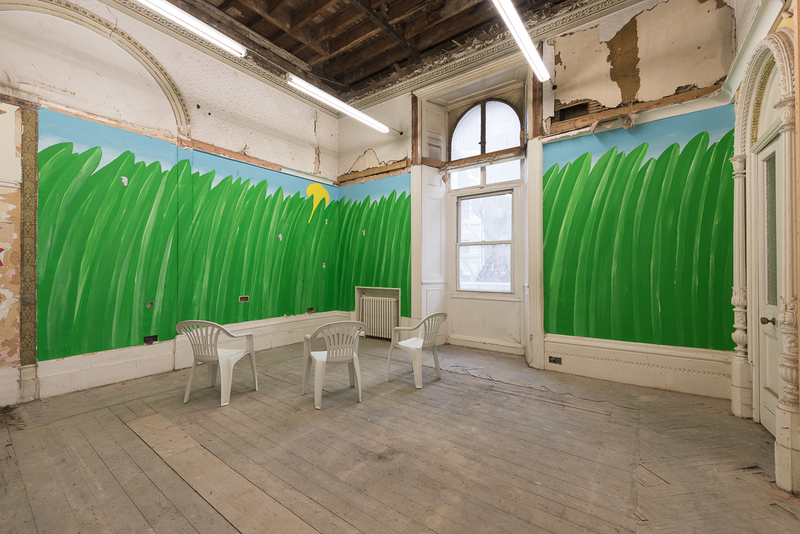 Massive blades of grass painted onto the wall and populated by tiny beings, as well as a set of garden chairs arranged for contemplating the ‘sun’, set the stage for an anxious psychological space. 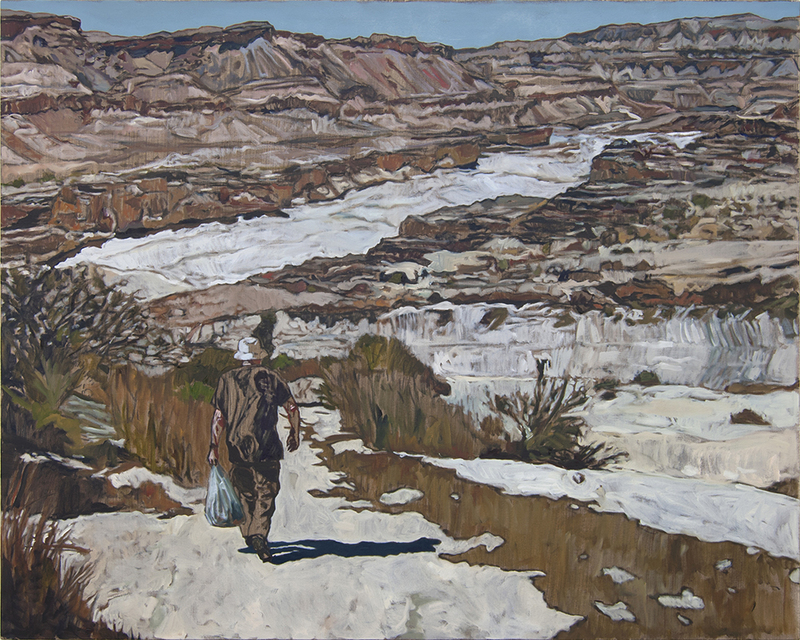 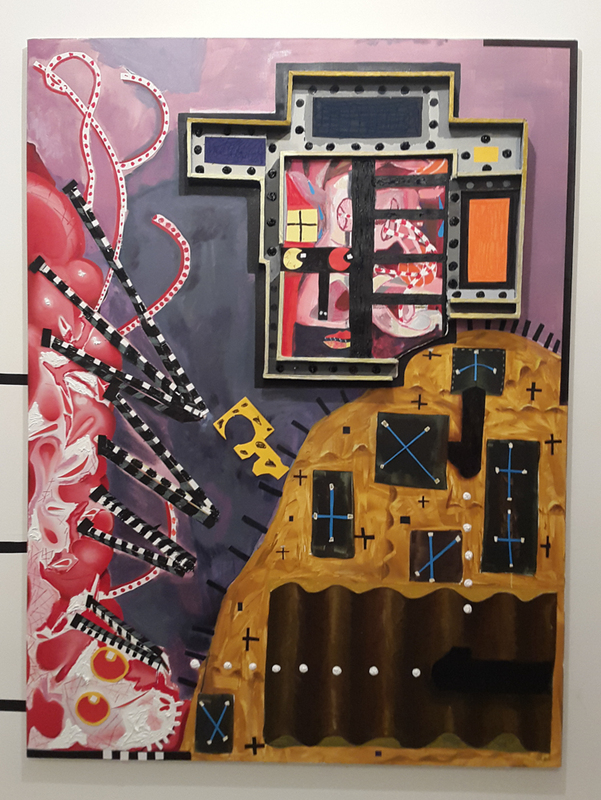 Ishai Rimmer is showing three new big paintings which construct biblical and art historical allegories from everyday autobiographical moments. 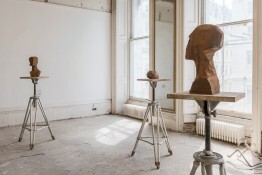 Rory Menage forges his personal response to the canon of Yorkshire sculptors – who saw landscape as a key reference for portraying the human condition – in weathered iron and polished bronze. 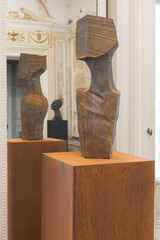 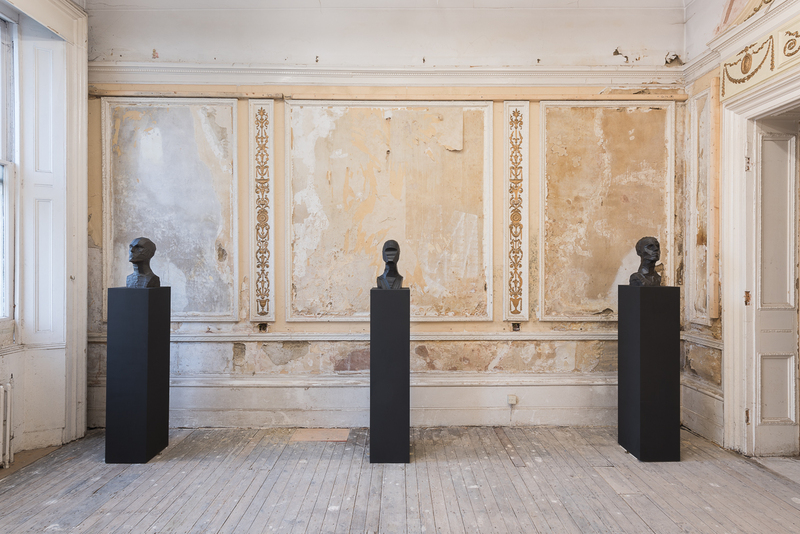 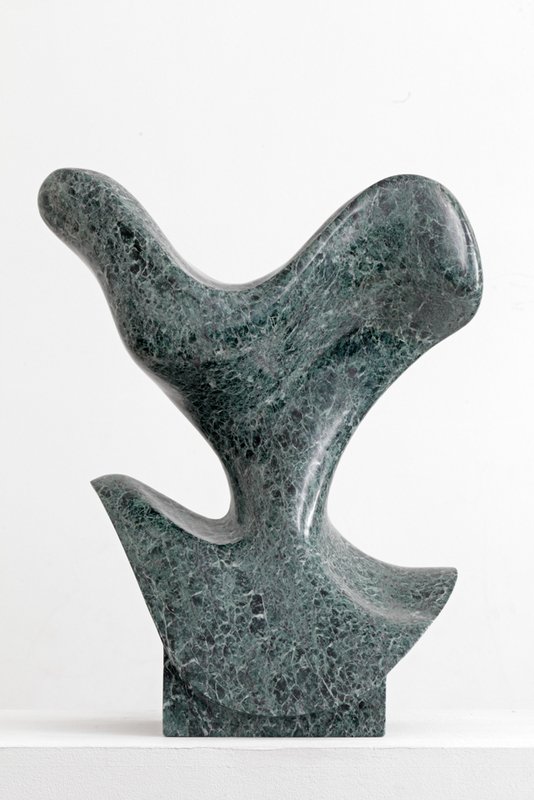 Also rich with references to modern masters such as Brancusi, Epstein and Giacometti; this is Menage’s first exhibition in London. 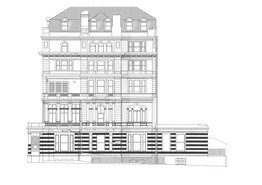 The Averard Hotel stands at the western end of the Lancaster Gate development. 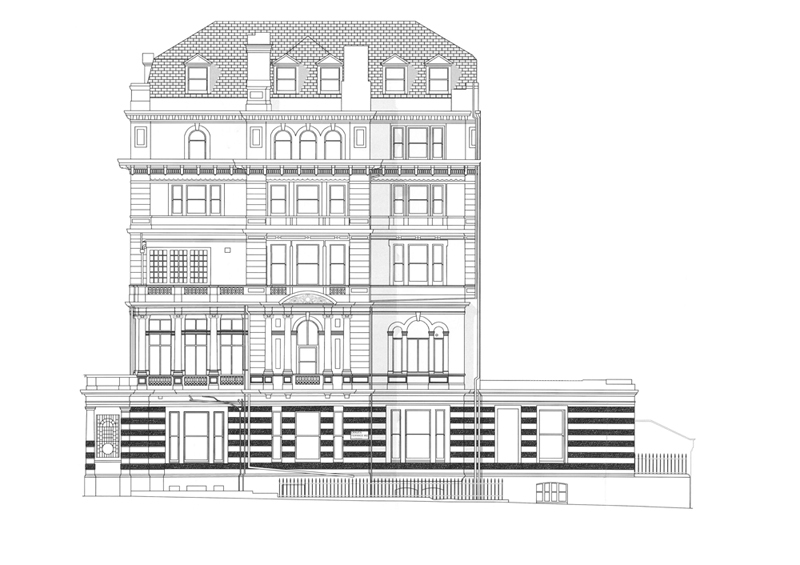 Built in English Baroque with French mannerist touches in the 1850s, Lancaster Gate was popular with wealthy families. 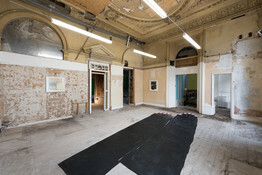 The 1920s saw its grand homes divided into flats and hotel rooms, and the introduction of Art Deco interiors. 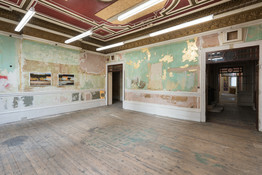 The Averard Hotel has been stripped back to reveal its multi-layered history in a state of arrested decay, as it awaits renovation into luxury flats. An exhibition programme, hosting a series of projects by international galleries, curators and artists, is taking place until October 2016.